Posted by Katy Foley on January 22, 2019 at 2:28 PM. Filed under LED Lighting, How To, Around the Home . There is no easier way to be scatter-brained than by having chaos all around your personal bubble. In attempt to avoid brain-overload and mental shutdowns, organization is key. And one of the easiest places to start your organization journey is to clean up the cables that rule your desk. 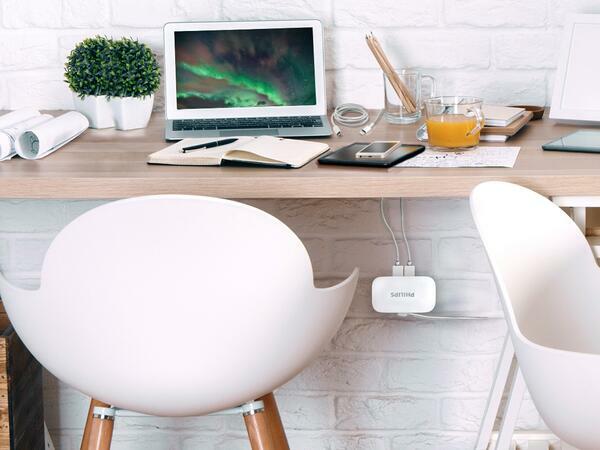 The Philips USB Charging Station has 4 USB ports for ultimate convenience in powering all your tech devices with up to 4x the power of a standard charger. The built-in USB ports reduce the need for adapters, providing a neat, organized charging area. With a slim design and mobility features for tabletop, floor or wall mounting options, this charger is vital to keep everything flowing with life while saving space. If you need power further from the outlet, try a Cordinate extension cord. 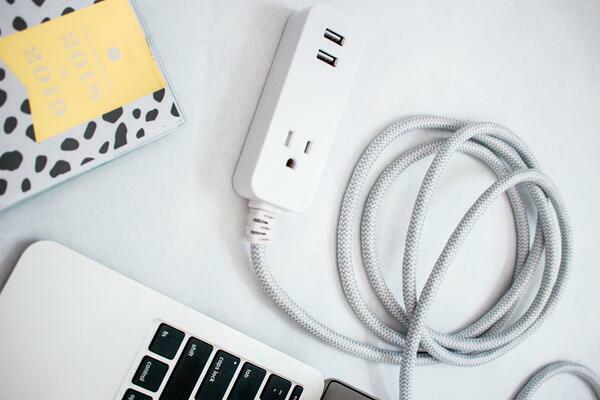 Now the placement of your desk and the feng shui of your workspace doesn’t have to be sacrificed, the 10 ft. extension cord extends reach while still eliminating cable clutter. With a woven fabric design and various color and pattern options, these cords can stand out to complement your space or lay low to blend in with your carpet. The braided extra layer of fabric on the cable adds durability and helps prevent messy cord tangling so your desk stays visually appealing! Bring the comfort of home to the workspace. Nothing is worse than being uncomfortable, physically or mentally. Do your back a favor and invest in a cozy chair or a pillow. Take it up a notch from there and check out these foot hammocks for under your desk. Put up some pictures of your friends, family or pets to provide the ease you need to counter any stress. Add extra serenity (and entertainment) to your space by hanging café string lights above your desk or around the room to create ambiance that always keeps you coming back for more. These color changing lights, along with vintage and classic café lighting options, can fit into every scheme and style effortlessly. You can take one simple step in revamping your workspace to actually improve your health, all you have to do is purchase a plant. 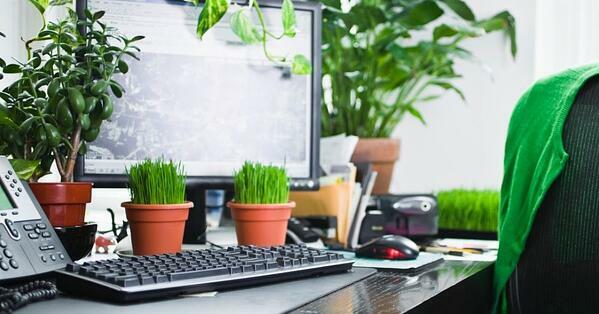 Before you back out from your lack of a green thumb, fear not as there are plenty of types of plants that require low maintenance and minimal sun that thrive in offices. Being stuck inside can be daunting and pollutants in the office air can cause headaches, distractions and eye, nose and throat problems. Plants can connect you with nature while you are hard at work and purify the air you breathe indoors while doing it. To top it off, the color green actually stimulates positive thinking and aids the human eyes in resting which is ideal when being exposed to blue light from screens all day. Too afraid to commit to keeping a plant alive during the work day? Try mixing it up so you aren’t sitting all day with a lifting desk or other ergonomic tech accessories to adjust your computer to new heights. 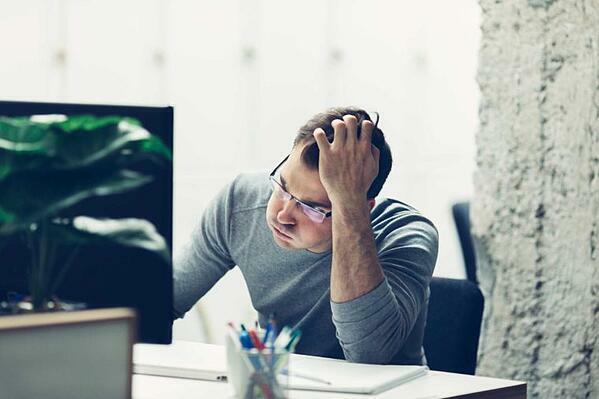 When you stand while you work you decrease your chances of obtaining several different health conditions and diseases that have been associated with extended hours of sitting. You can also take note from this blog with tips on how to build your own standing desk as well as how to incorporate nature and wellness in other areas of your life. No matter what type of work you do, the long hours of the job can take a toll and it’s only human to lose focus from time to time. Apps and music can get the ball rolling and the gears turning again and help you be more productive. A Pomodoro App is a great accountability partner in increasing productivity with a method that has a built-in timer for taking regular breaks, a log for how much work is completed and tracked statistics on your progress over time. If your workspace is a home office, you can play motivational music from a hands-free Bluetooth speaker. 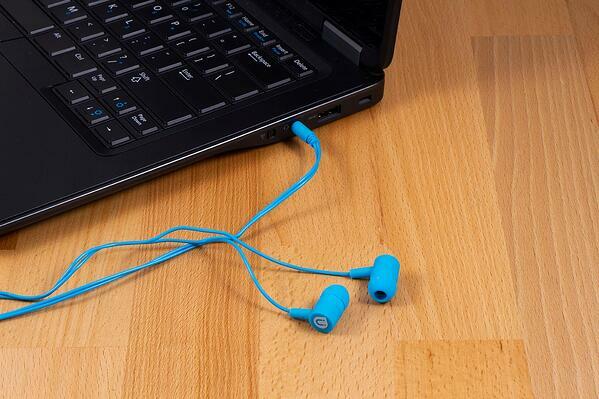 This allows you to keep your phone next to you while streaming your favorite music to the speaker for surround sound. With a break-in feature, any call you get will stop the music and allow you to answer quickly and efficiently without the background noise. If you have a shared office space, Uber Headphones are a good choice, so your jam session isn’t sacrificed while still being able to remain in good relationships with your coworkers who don’t appreciate the rock n’ roll quite like you do. So even if your workspace is in the hall closet, dreading coming to work and being stuck in a motivational rut doesn’t have to be an everyday reality. 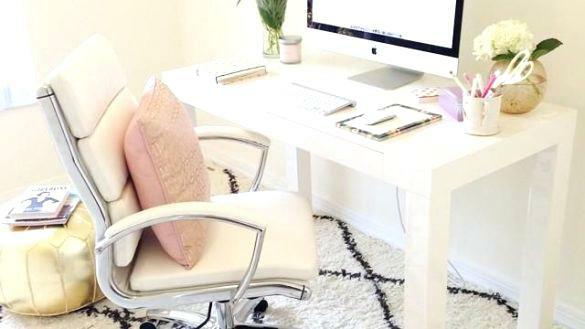 There are many ways to bring your space to life and inspire you to come to work while being organized, comfortable, healthy and productive daily. 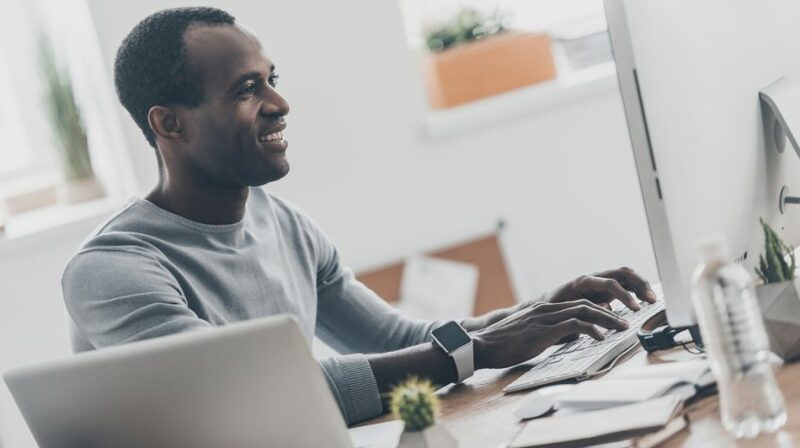 Whether it’s a home office or a shared space in cubicles, own your workspace and create an environment that optimizes your abilities and inspires you to come back for more.